"Food and beverage companies should avoid either making claims that go beyond scientifically proven attributes of their products or that ignore data going in the opposite direction." Q: What are the primary areas of litigation risk for food and beverage companies? 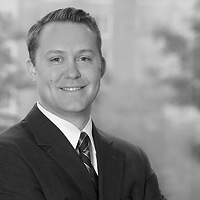 Matthew P. Ritchie: Aside from the usual litigation that any business might face, food and beverage companies also confront the possibility of three additional sources of litigation based on their product packaging and labeling: regulators, competitors, and customers. First, the Food and Drug Administration (FDA) and the Federal Trade Commission (FTC) share overlapping jurisdiction on the labeling of food and beverage products. While the FDA regulates the content of product labeling, the FTC regulates advertising, specifically whether it is false or deceptive. The FDA’s primary enforcement tactic is to send a Warning Letter, which serves as official notice to the company. From there, the FDA can seek various remedies, including injunctions, recalls, seizures, civil penalties, and criminal prosecutions. The FTC typically prosecutes market participants by bringing civil claims for false advertising against alleged violators. Second, food and beverage companies are also subject to the threat of false advertising claims brought by competitors. A company might respond to a competitor’s advertising claims—particularly ones that are comparative in nature—with a “takedown” request or even a lawsuit under state and federal law. The federal Lanham Act, 15 U.S.C. § 1125(a), for example, prohibits false or deceptive advertising and allows competitors to enjoin a particular advertising claim and obtain damages. Third, food and beverage companies operate under the perpetual threat of a consumer class action. These claims can vary from product liability claims alleging physical harm to false or misleading advertising claims. Even if the company fully complies with FDA and FTC regulations, plaintiffs’ lawyers will scrutinize the packaging and advertising, and may commence expensive and prolonged litigation, which the company will either have to settle or commit significant resources to fight. Q: What types of packaging statements do plaintiffs’ lawyers typically target? Q: Are manufacturers safe if their nutrition label or physical product packaging is true and accurate? MR: Not necessarily. While many of the FDA regulations apply specifically to the product’s nutrition label, the remainder of the product’s physical packaging as well as all of the company’s websites, TV ads, social media platforms, and other materials touting the product are subject to regulatory and litigation scrutiny. Even an action as simple as retweeting another’s praise of the company’s product can be deemed to be a company statement subject to claims by regulators or plaintiffs’ attorneys. Q: How can a company minimize the possibility of a regulatory action or class action litigation on the basis of their product labeling? MR: Food and beverage companies should avoid either making claims that go beyond scientifically proven attributes of their products or that ignore data going in the opposite direction. Moreover, definitive statements such as “proven to improve health” and “proven to cause weight loss,” as well as undefined terms like “pure” and “wholesome,” can be troublesome. Manufacturers should consult with a food and beverage products liability lawyer to determine if their marketing claims leave them vulnerable and develop strategies to mitigate risk.